What causes Bell’s palsy? Why does it occur? 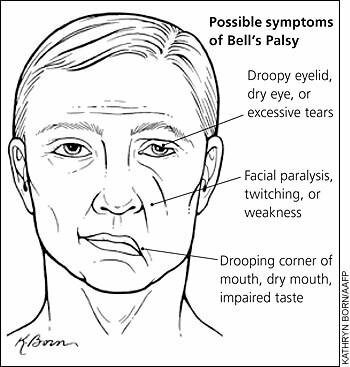 Bell’s palsy is characterized by the rapid onset of weakness or paralysis of one side of the face. Usually, it occurs due to inflammatory swelling followed by compression of the facial nerve within the facial canal or at the stylomastoid foramen. It is generally unilateral, rarely bilateral and developed overnight. 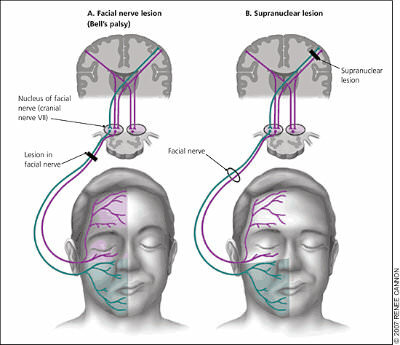 More than 80% of causes of facial palsy due to Bell’s palsy. Incidence is 25 out of 100,000 populations per year. Male and female are equally affected. Most commonly affected age group is 15 to 45. Cause of Bell’s palsy is still uncertain, but some evidence shown that herpes simplex and varicella-zoster virus causes Bell’s palsy. In some cases, reactivation of above the virus causes Bell’s palsy. One-sided facial weakness is the most prominent feature, normally developed overnight — patient usually aware of weakness after getting up from sleep. Weakness may be partial or complete. One facial side droops, movement present at one side. Beverage and saliva escape from an affected side of the mouth. 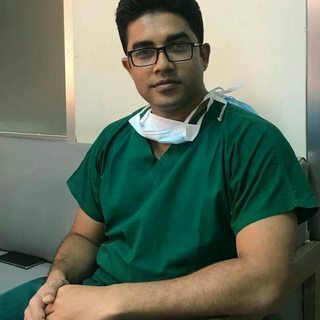 Unable to whistle or blow out cheek. Hyperacusis – it occurs due to paralysis inner ear muscle; natural sound may be louder than usual. Lose taste sensation on the affected side of the tongue. Usually no test for diagnosis only clinical knowledge is enough but the doctor may do some investigation to rule out others causes. Electroneurography at 1-3 wks cad predicts delayed recovery, the four-fold rise of varicella virus antibody may predict cold sore. CT/MRI may rule out any other brain lesion. 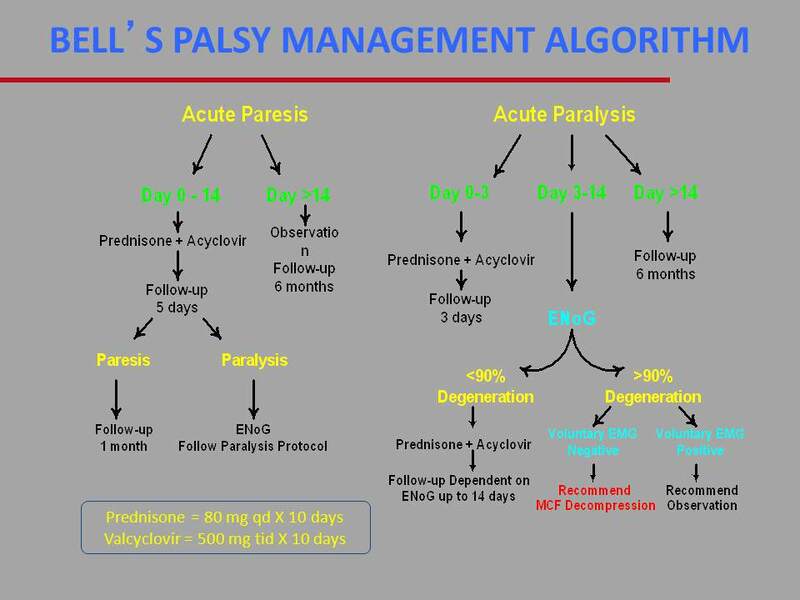 There is good evidence prednisolone in early stage improve recovery whereas antiviral therapy remains less clear as the conflicting result has been found in a various trail. Protection of the eye should ensure by dark glasses and be instilling artificial tear like-hypo-melrose if there is any evidence of drying. .Physiotherapy, like tightening and relaxing of facial muscle, forehead, and cheek massaging, may help in early recovery. The tape should be used to close eye at night. If slow recovery (up to 1 yr) plastic surgery to help the lid closer and to straighten the paralyzed face. Partial lid to lid suturing may be done in severe ectropion.